The draft of an executive order that would require government contractors to disclose political contributions was not hit in the government-contracting industry. But now, the provision is drawing the ire of those on Capitol Hill. 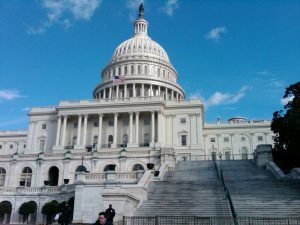 Federal News Radio reports that both representatives and senators have introduced legislation that would block the proposal. Chairman of the House Oversight and Government Reform Committee Darrell Issa (R-Calif.), who sparred with the White House over having an administration official testify about the order — eventually Office of Federal Procurement Policy Administrator Dan Gordon did so — joined two fellow Republican legislators to introduce this week the Keeping Politics Out of Federal Contracting Act of 2011. “This legislation preempts an executive order designed to silence and intimidate job creators and Americans who are passionate enough to support a cause,” Issa said earlier this month. News of the proposed executive order first leaked in April. However, the administration has been tight-lipped about the proposal, with White House officials testifying only in broad generalities about it, including at a recent House oversight committee hearing.